A Sutton Coldfield care home has surprised an 87-year-old resident with a special trip to Villa Park, complete with a meet and greet with stars from Villa’s 1980s squad. The team at Care UK’s Mercia Grange, on Lichfield Road, runs a Wishing Tree initiative to help make residents’ wishes come true. 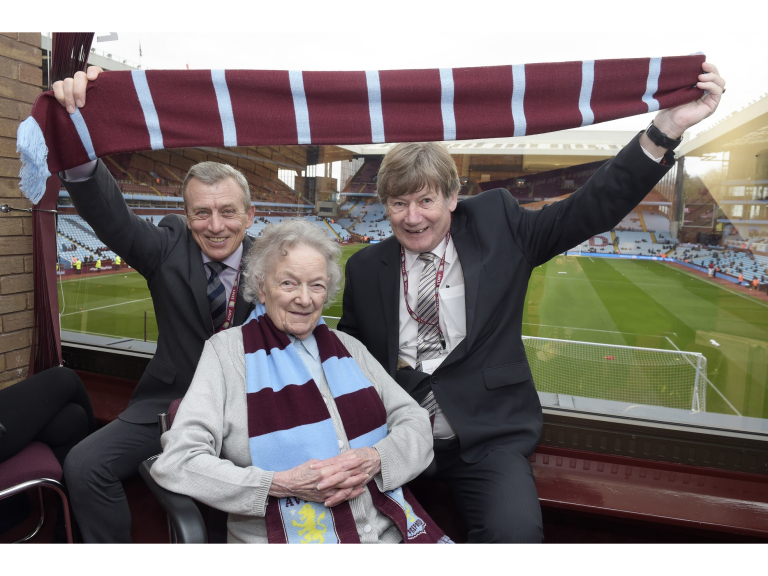 They decided to surprise resident – and lifelong Aston Villa FC fan – Gillian Wall with a special matchday experience, enjoying watching the fixture against Middlesborough in a corporate box, to make her particular dream come true. Gillian, who used to attend every AVFC game, proved something of a lucky charm for The Villa who won the home game 3-0.